The supremely multi-talented Jeffrey Rashad has been compared to the likes of Ryan Leslie and Timbaland as a Producer, Frank Ocean and The Dream as a Songwriter, and Miguel along with Trey Songz as a vocalist. Jeffrey Rashad is a rising Singer/Songwriter/Producer/Musician from Los Angeles, CA. 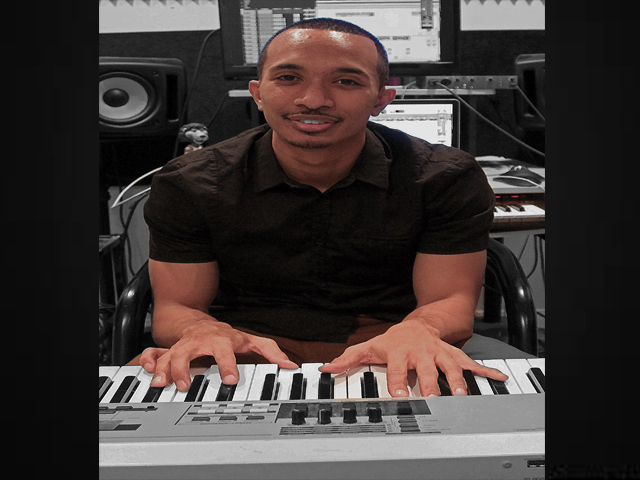 A self-taught pianist (also known as "The Pianoman), Jeffrey's upbringing was heavily based around music with his mother being a Classical pianist from the Philippines, his father being an avid listener and fan to all genres of music and his grandmother, a well-known Gospel pianist for various churches in the Los Angeles area. With nothing but piano keys and music around him, it was no surprise that it all came naturally to Jeffrey early on when he started playing the piano at 12 years of age. He went on to the Hamilton High School Academy of Music in Los Angeles where he honed his piano-playing skills and started to learn how to produce, compose, and write his own pieces of music; even writing one of the school's graduation anthems. Upon graduating with his Bachelor of Arts in Political Science from Loyola Marymount University; also in Los Angeles, he has made a name for himself with his creative ambition, artistic drive and original sound. He has also garnered quite a following with that original sound through his "Making Of" different beats and songs with videos on YouTube where he plays and creates every sound from scratch. The supremely multi-talented artist shines in every aspect musically giving listeners music that is 100% authentic and made with a "from the ground up" organic approach. With his keen ear and thorough knowledge of music, Jeffrey Rashad plays the piano, and uses various combinations of sounds to piece quality records together effortlessly. Writing every word, producing every sound, and singing every note, Jeffrey Rashad takes the concept of the '1-Man-Band' to another level. “It’s been over a year in the making. But I can say that it's finally done. And it’s finally here...It took a long journey of growth, uncertainty, faith, sacrifice, and Musical-OCD-like behavior but it’s finished and I’m looking forward for you all to hear what I have in store. Since I started playing the piano as a child, I always wanted to have and complete at least one project of my own. And after all this time, I can say I have finally accomplished this,” says Jeffrey Rashad.